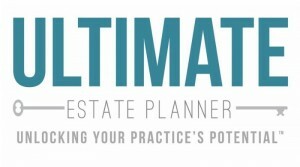 If you’re like most estate planning professionals - - whether a CPA, financial advisor, life agent or attorney - - you want to spend most of your time, marketing, meeting with clients or practicing your technical craft, not doing staff level tasks or, worse yet, dealing with staff issues. Unfortunately, if your business is going to successfully grow (and you’re going to enjoy a better quality of life), at some point you’ll need great support staff to help you! You may avoid finding, hiring, training, managing and compensating staff because you simply don’t know how or are bad at it (which is understandable because they didn’t teach you this in school). Or, you simply feel you don’t have the time, or believe it’s just too hard to do - - but none of these should stop you from moving forward. 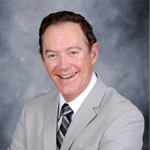 Join us and nationally renowned estate planning attorney Philip Kavesh, who has over 35 years of experience in running a successful law business, for two 90-minute power-packed programs. How hiring, training and management of staff can be done successfully with the least amount of your time and expense! The way to properly grow a staff organization that will run itself! Which positions you should hire staff for - - first, second and third - - and when! How to fit the right person to the job, rather than the other way around! The key tools you must use, including an organizational “blueprint”, individual duties list, training manuals and procedures manuals (including examples to get you started) - - and how to use them!